When pipelines are laid in densely populated areas, protected natural habitats, or beneath heavily frequented roads, jacking is often the least disruptive solution. With their high strength, Amiblu jacking pipes are well-suited for jacking installations. Amiblu pipe design for jacking and microtunneling takes advantage of non-corrodible materials. The smooth external surface and water repellency gives low friction during jacking. Hobas pipe designed to withstand high jacking forces. Typically used for jacking under structures like roads and railways. Water jetting resistant according to DIN 19523. Flowtite pipe designed to withstand high jacking forces. Typically used for jacking under structures like roads and railways. Custom diameters are available. Water jetting resistant according to DIN 19523. No open trenches required – pipes are installed without the public noticing. Towns and landscapes do not suffer from the construction work. Falls in water table level, which affect vegetation, can be prevented. Due to the tight wall thickness of Amiblu jacking pipes relatively small amounts of soil are excavated and removed. No special storage areas are needed for materials and equipment. Traffic disruption is kept to a minimum. Amiblu jacking pipes can be installed irrespective of the weather conditions. Residents, nature, and the environment are protected from noise, dirt, and vibrations. Damage to nature is substantially lower than with the open-cut method. Carbon emissions are considerably lower during construction and from traffic, as congestions can be prevented. 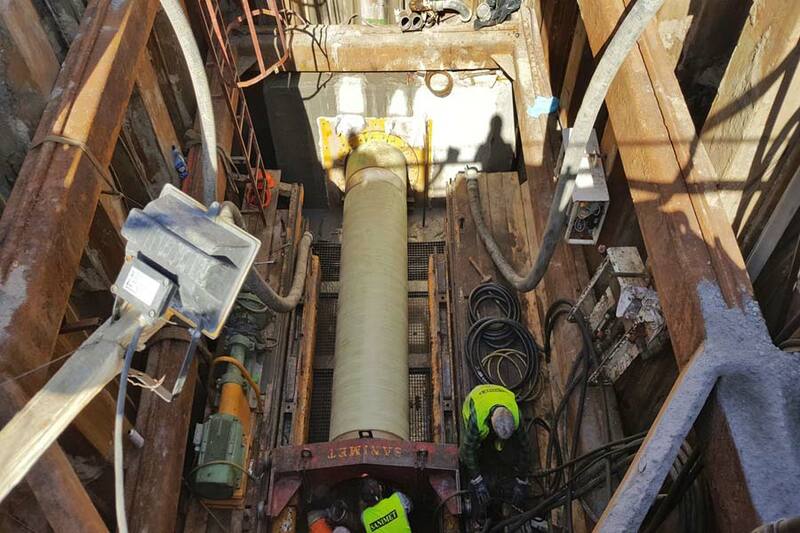 The relining process involves pushing or pulling the new pipes into the existing pipeline and filling the remaining annular space between the host and liner pipes with pressure-resistant grouting, usually a mixture of binding materials. This fixes the inserted pipe in position and it can take over the complete structural load capacity. Relining installations are performed with non-circular (NC Line) or circular Amiblu GRP pipes. Amiblu relining pipes are particularly suitable for pipe rehabilitation, as they are light in weight, corrosion resistant, quality assured, easy to install and resist the load from the grouting. To put it in simple terms: relined pipes are as good as new – in every respect.